iPhone 8 vs iPhone 7 – What Is The Difference, What’s New, Which One Should You Buy? APPLE unveiled its latest smartphone range – iPhone 8, iPhone 8 Plus – during an. 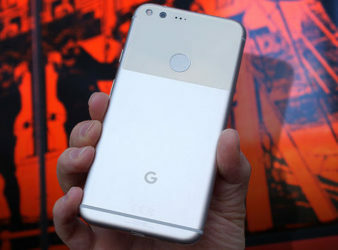 GOOGLE will unveil its next-generation Pixel 2 and Pixel XL 2 smartphones at an exclusive. SPURS will be hoping for back-to-back wins at Wembley, as they face Swansea City in. APPLE has finally revealed its latest iPhone 8 smartphone and here’s all the new features. CRYSTAL Palace manager Roy Hodgson takes charge of the team for the first time, as. APPLE has just announced the launch of its iPhone 8 and iPhone X smartphones but. SMARTPHONE owners have been warned of a terrifying new virus that can take over your. SNAPCHAT is down at the moment, with the selfie social network not working for hundreds. GOOGLE Chrome users will soon get an awesome new update that will make browsing the. MILLIONS of Android smartphones may have been infected by malware from at least 50 apps.